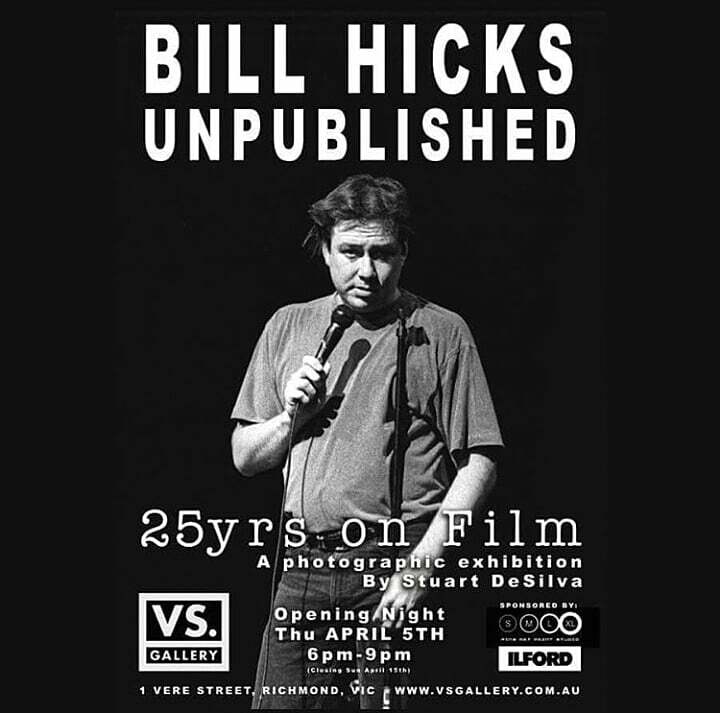 In April 1993, celebrated comedian Bill Hicks performed at Universal Two in Fitzroy as part of the Melbourne Comedy Festival. Now, exactly 25 years later photographer Stuart DeSilva reveals these never before seen images in his new exhibition 'Bill Hicks Unpublished'. Taken less than a year before Bill's untimely death, Stuart's photographs are a stunning and revealing time-capsule of the comic genius during his first and only tour of Australia. The exhibition features over 30 different, unpublished prints available to purchase in very limited edition. Vs. Gallery, 1 Vere St, Richmond.